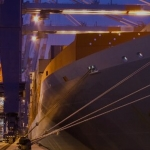 Competitive Rates & Frequent Departures to Small and Major Ports Across Latin America. Krystal Logistics ocean freight services can handle almost any size of shipments from less-than-container loads (LCL) to full container loads (FCL), oversize cargo and special equipment while delivering door-to-door or door-to-port to any country/city across the Americas. With frequent departures across major ports we can help you reduce transportation costs and deliver goods in a timely manner. With 15 plus years of experience moving ocean freight across North, Central and Latin America, we have built strong partnerships with the most reliable carriers serving the Americas. These relations allow our customers to access competitive ocean freight rates and depend on reliable ocean freight services. Krystal Logistics ocean freight services can move your cargo door-to-door or door-to-port throughout North, Central & Latin America. With 15 years of experience and a dedicated team of ocean freight professionals you can count on a consistent and a reliable partner 24/7. Frequent departures to small and major ports across Latin America. Competitive rates to any destination across North, Central and South America. Dedicated team of bilingual ocean freight professionals with experience in local markets. Time-guaranteed cargo delivery and dependable transit scheduled on every sailing. Space availability and allocation across major carriers serving the Americas. A 24/7 responsive ocean freight professional team assigned to your company. Click on the map below for a detailed list of ports and destinations where Krystal offers ocean freight services. For additional information call us at (305) 887-5000.